The JL JINLUN 150 Motorcycle Manual PDF is above this page. The Jinlun technique under the abbreviated JL brand is sold in Belgium, Germany, Denmark, Great Britain, France, Spain, Italy, Poland, etc. It is sold by Dragon Motorcycles sales offices. These trademarks relate to one very large Chinese enterprise, producing motorcycles Cixi Kingring Motorcycle Co. Which in turn is included in the concern of the largest industrialists in China. All manufactured equipment is certified, both for the domestic market and for sale in Europe. The range of products is very diverse. Bicycles and electric bicycles, scooters and a variety of motorcycles, ATVs, and motors for any equipment. Chinese motorcycle Jinlun JL150-5A manufactured by Cixi Jinlun Motorcycle Manufacturing Co., Ltd. (a manufacturing enterprise in Cixi, Zhejiang Province, China, produces a variety of motorcycle equipment under the brand Xinlun, Jinlun, Jingying, including motorcycles). Max. 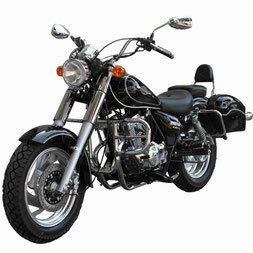 speed 95 km / h, total weight 280 kg, total seats 2 (together with the driver), curb weight of the Chinese motorcycle 130 kg. 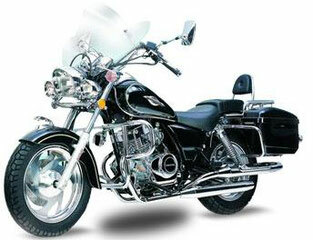 Jinlun JL is a Chinese clone of Suzuki (Manuals page).